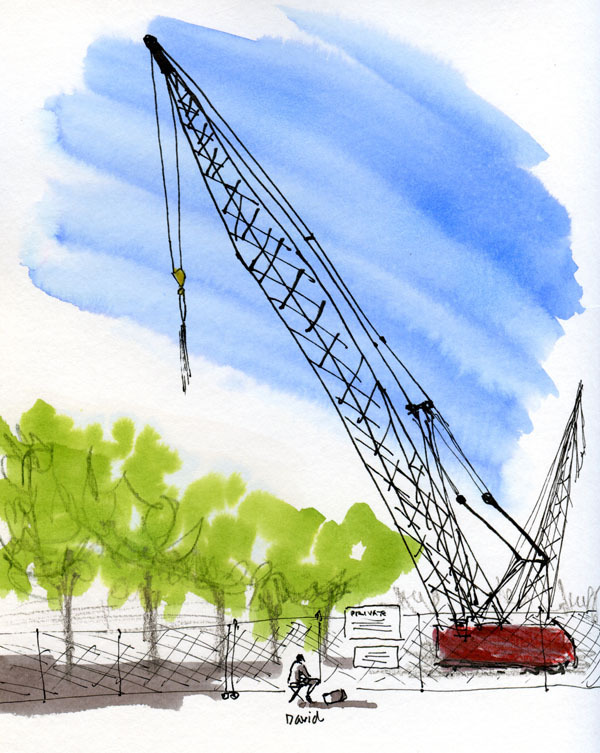 The south end of Fremont near the Ship Canal has no shortage of fun sketch subjects – funky cafes and bars, distinctive architecture and a general center-of-the-universe attitude we all know and love about Fremont. 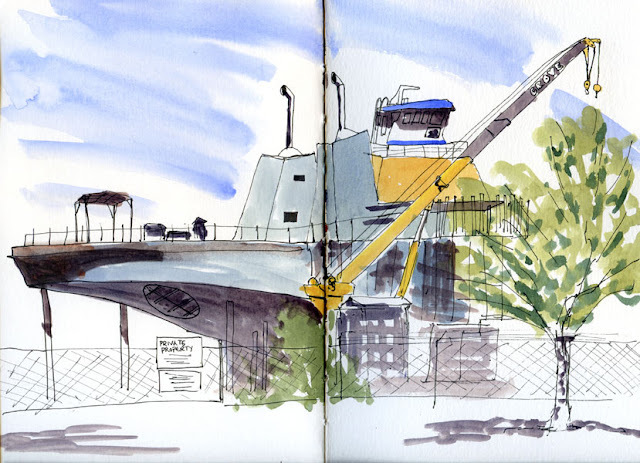 Nonetheless, the Bering Titan tug, owned by the Western Towboat Co., was a popular sketch subject this morning among the Seattle Urban Sketchers. At the sketchbook sharing, I must have spotted at least a half-dozen sketches of this colorful tug, which has been under construction for several years. 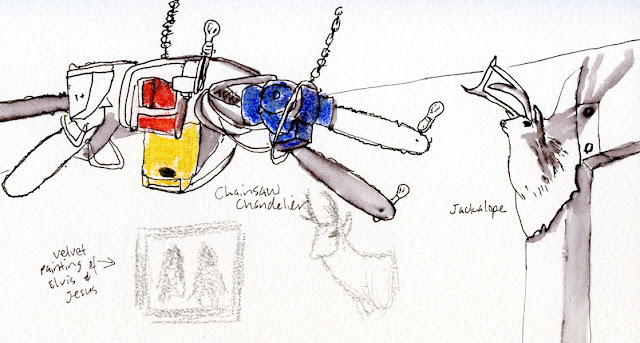 6/14/15 David H. sketching the tug. After I finished that sketch, I wandered around the neighborhood for quite a while, then eventually ended up back where I started. 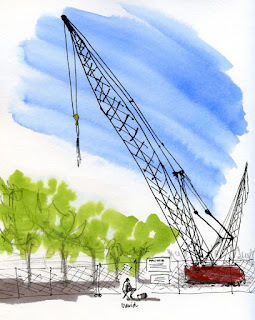 Taking a slightly different angle, I sketched another crane at the towboat construction site (and a teeny-tiny David sketching next to the fence).